CENTRE FOR THE AESTHETIC REVOLUTION: NEW INDEPENDENT ART SCHOOLS IN THE AMERICAS! 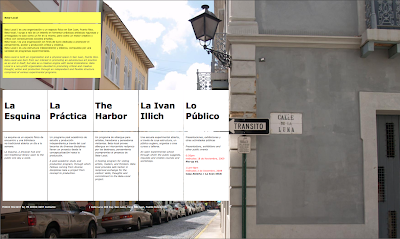 Beta-Local is both an organization and a physical space in San Juan, Puerto Rico. Beta-Local was born from our interest in promoting an adventurous art practice as an end in itself, but also as a creative engine with social implications. Beta Local is a non-profit organization devoted to promoting critical and creative thought, action and production through an independent and flexible structure comprised of various experimental programs. -La Esquina: a physical hub and non-traditional library open to the public one day a week. -La Practica: A post-academic study and production program, through which Fellows coming from diverse disciplines take a project from concept to production. -The Harbor: A hosting program for visting artists, makers, and thinkers. Beta local provides safe harbor in reciprocal exchange for the visitors' skills, thoughts and commitment to the Beta-Local project. -La Ivan Illich: An open experimental school through which the public suggests, requests and creates courses and workshops. EL CENTRO de Investigaciones Artísticas is a physical and virtual space of interaction and debate for artists and thinkers from around the world, particularly those in Latin America and Spain. The purpose of el CENTRO is to provide critical tools for the formation and development of the artistic community in order to intervene in the constantly redefined cultural map of the moment. The work of el CENTRO goes beyond the frontiers of genres and disciplines, with an emphasis on those that expand the borders of practice, genre and media; those that propose new ways of production, of exhibition and exchange; those that explore broader social contexts than the institutionalized one. Writers, musicians, philosophers, architects, designers, film-makers, historians, psychoanalysts, technologists, performers, photographers, visual artists, and theatrical artists, among many others, will converge at el CENTRO. The activities will have a strong pedagogical component based on historic research and art theory conducted virtually and physically. In August 2009, a wide-ranging program of courses, workshops, seminars, presentations and conferences will commence at el CENTRO’s headquarters. 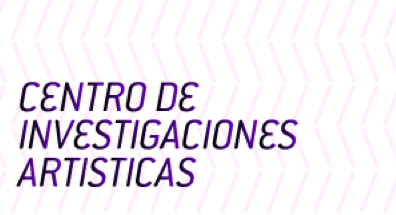 El Centro de Investigaciones Artísticas was founded by Graciela Hasper, Roberto Jacoby and Judi Werthein. Offered as from March 2010, the Escola Sao Paulo Independent Program – PIESP is designed aiming for artists who are at the beginning of their career. Conceived and directed by his creator, curator Adriano Pedrosa (founder of the Bolsa Pampulha in Belo Horizonte), PIESP program has one year duration in visual arts. The course consists in meetings between young artists with top artists and curators from Brazil, to discuss and develop language and projects. The program will open enrollments for a limited number of young artists who will be chosen by the School. Target public being the young artists at the beginning of their career who already have a language or work developed. The program is inspired on the international art programs such as the Independent Studio Program from the Whitney Museum and is structured through critical seminars or critic classes, individual meetings with the artists participants and lectures. Seminar Leaders and Tutors: Adriano Pedrosa, Ana Paula Cohen, Beatriz Milhazes, Carla Zaccagnini, Ernesto Neto, Julieta Gonzáles, Ivo Mesquita, Leda Catunda, Marcos Moraes,Rivane Neunschwander, Rodrigo Moura e Rosângela Rennó. SOMA is an experimental project conceived to optimize discussion and exchange in the field of contemporary art. Our goal is to produce a counterpoint to the dynamics of art schools, museums, and galleries. SOMA is a generator of discourse within an international community based in Mexico City, and has been conceived by local contemporary artists with the intention of building upon the experiences of alternative spaces like La Panadería and T44. We have designed a unique platform for our specific cultural context. SOMA is open to the general public and consists of three basic parts: 1-a residence program for international artists and critical theorists. 3-a forum for artist talks, conferences, video screenings and other events on a weekly basis. SOMA is a non-profit organization. Collaborators: Artemio, Eduardo Abaroa, Eduardo Thomas, Francis Alÿs, Joaquín Segura, Juan Carlos Reyna, Laureana Toledo, María Alós, Mario García-Torres, Pablo Vargas-Lugo, Raúl Ortega Ayala, Sofía Táboas, Teresa Margolles, Yoshúa Okón.